The End of Modern Finance? The Lloyd E. Collette professor of financial services at the College of Business Administration at Louisiana State University in Baton Rouge. 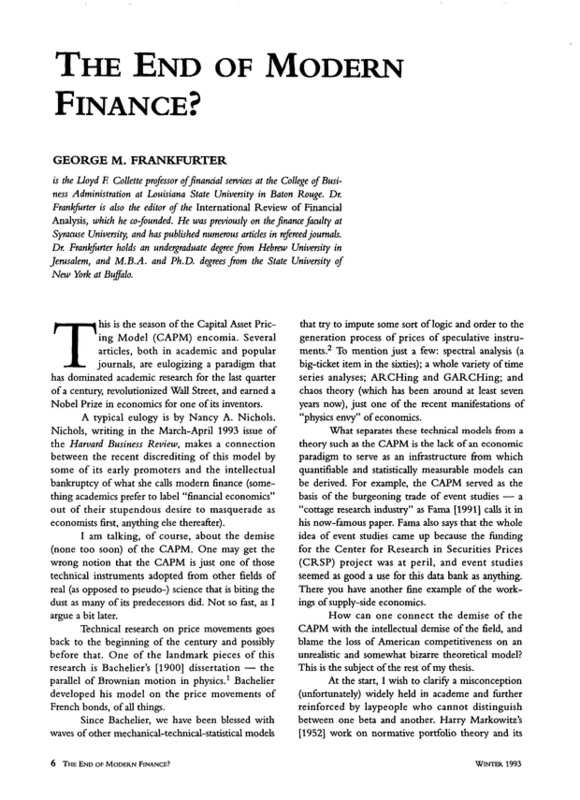 Dr. Frankfurter is also the editor of the International Review of Financial Analysis, which he co-funded. He was previously on the finance faculty at Syracuse University, and has published numerous articles in refereed journals. Dr. Frankfurter holds an undergraduate degree from Hebrew University in Jerusalem, and M.B.A. and Ph. D. degrees from the State University of New York at Bufalo. You are going to email the following The End of Modern Finance?